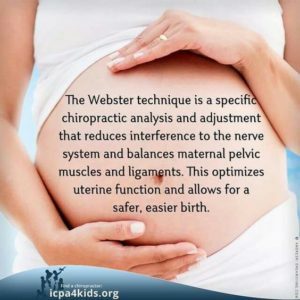 The Webster Technique has become a familiar term in the pregnancy and birth conversation and for good reasons. The Webster Technique is a specific chiropractic sacral analysis and adjustment with the goal to reduce the effects of sacral subluxation (or misalignment). Sacral subluxation may contribute to difficult labor for the mother for multiple reasons discussed below. Correction of sacral subluxation may have a positive effect on all of these causes of dystocia allowing for a women under chiropractic care to have an easier natural delivery. Contractions of uterus are not powerful enough to move baby down the birth canal. Position of the mother’s bony pelvis and sacrum. This relates the diameter of the pelvic outlet to the position of the pelvis and sacrum. Abnormalities of presentation or position of the fetus. 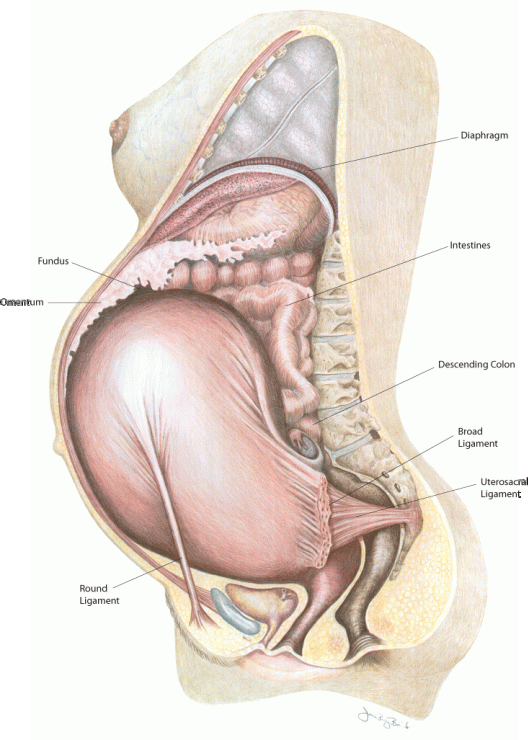 This relates that mal-position of the fetus in-utero adding to the difficulty of labor or lack of progression. The first causes of dystocia, is the lack of power behind uterine contractions which rely on proper nerve supply to the uterus. The uterus is a muscle and chiropractors address nerve supply to muscles with their adjustments to the sacrum and pelvis. Round Ligament attaches from the uterus to the pelvis. The second cause of dystocia relates proper pelvic and sacral alignment with optimal room for passage of the fetus. When the sacrum is misaligned, the pelvic outlet compromised and can lead to prolonged labor. Chiropractors address pelvic alignment and can help maintain optimal position of the pelvis and sacrum with regular adjustments. positioning. Chiropractors address the tension placed on the uterine ligaments, specifically the round ligament, with a gentle soft tissue contact, which is an important part of the Webster adjustment. When balance is restored to the mother’s pelvis, her uterus and pelvis function better and babies may be able to comfortably assume the best possible position throughout pregnancy and for birth. Chiropractors play a vital role in supporting the pregnant women’s health and wellbeing and work alongside the health care team to ensure comprehensive pregnancy care. Regular chiropractic care during pregnancy can help an expecting mother have a more comfortable pregnancy, faster delivery, and easier healing postpartum. If you are an expecting mama in the Denver area feel free to reach out for more information or to schedule your first visit with me. If you are not in the Denver area but are interested in finding a certified Webster practitioner, you can use this easy search tool.